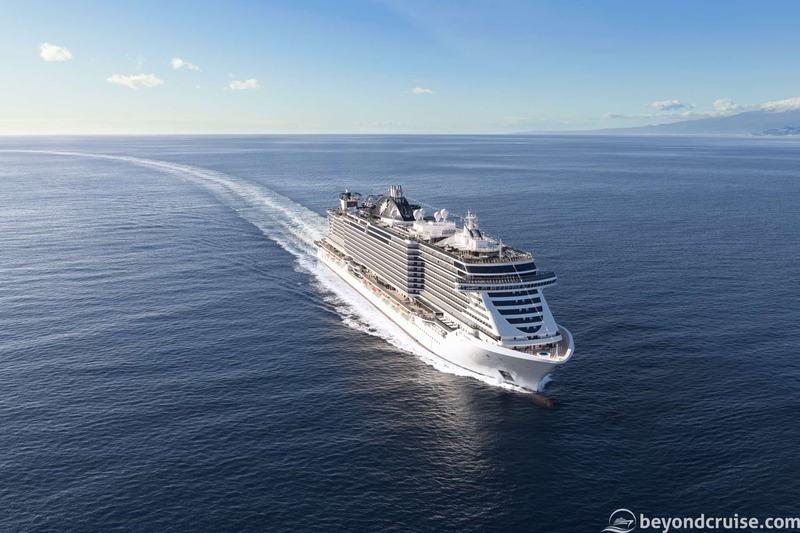 Coming into service in Spring 2021, the 169,400 GT MSC Seashore will be the first in its kind, further enriching MSC Cruises’ Seaside Class of ships with new cutting-edge features including: an additional lounge at the aft part; a further enhanced MSC Yacht Club covering three forward decks; speciality restaurants at the level of the promenade at deck 8 for dining al fresco whilst being close to the sea; a larger number of whirlpools across the ship; and 200 additional cabins as well as even more generous public spaces. Moreover, the Seaside EVO ships will be equipped with the latest advanced environmental technology, including a selective catalytic reduction system; exhaust gas cleaning technology; state-of-the-art waste management and recycling systems; advanced water treatment systems; and an advanced energy and heat recovery system, as well as other technology and measures to further increase energy efficiency. Today’s event marked another milestone in MSC Cruises’ industry-unprecedented 10-year development plan for 17 additional new mega ships, with four new ships currently under construction at the same time. MSC Seashore is the seventh ship to be built under this plan and will become the 19th ship MSC Cruises has built since its inception in 2003. Additionally, the coming into service of the first Seaside EVO ship will take innovation in cruise shipbuilding to yet another level of excellence, much like the introduction of the original Seaside prototype has set a new standard for the industry to follow. In addition to offering even more space and an even richer experience, Seaside EVO ships will have greater dimensions, even more, generous public spaces, more cabins, a larger MC Yacht Club, and will be hosting a total of up to 5,632 guests.